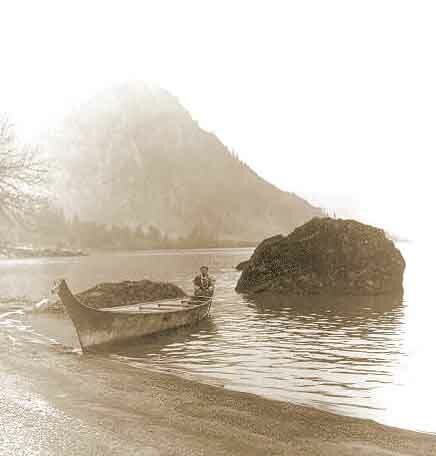 This is a short collection of texts from the Coos people of Oregon, collected by anthropologists a century ago. This includes origin myths and lore about what lies beyond the sky and death, tales of people who marry anthropomorphic animals, and legends about natural disasters such as floods and fires. Like other unedited, unfiltered native American texts, they possess earthy humor and a dreamlike, cyclic narrative stucture. For more information on the culture and history of the Coos, refer to Confederated Tribes of The Coos, Lower Umpqua, and Siuslaw Indians [External Site].